Our people are everything. 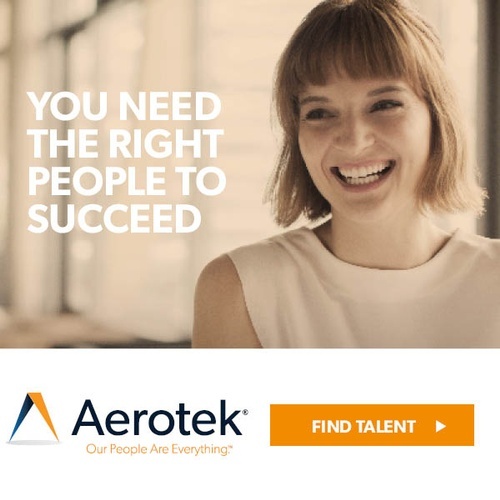 For more than 30 years, Aerotek® Inc. has distinguished itself as a leader in recruiting and staffing services by having a deep understanding of the intersection of talent and business. As a strategic partner to more than 17,000 clients and 300,000 contract employees every year, Aerotek’s people-focused approach yields competitive advantage for its clients and rewarding careers for its contract employees. Headquartered in Hanover, Md., Aerotek operates a network of over 230 non-franchised offices with more than 6,000 internal employees dedicated to serving our customers. Aerotek is an operating company of Allegis Group, a global talent solutions provider. To learn more, visit Aerotek.com.